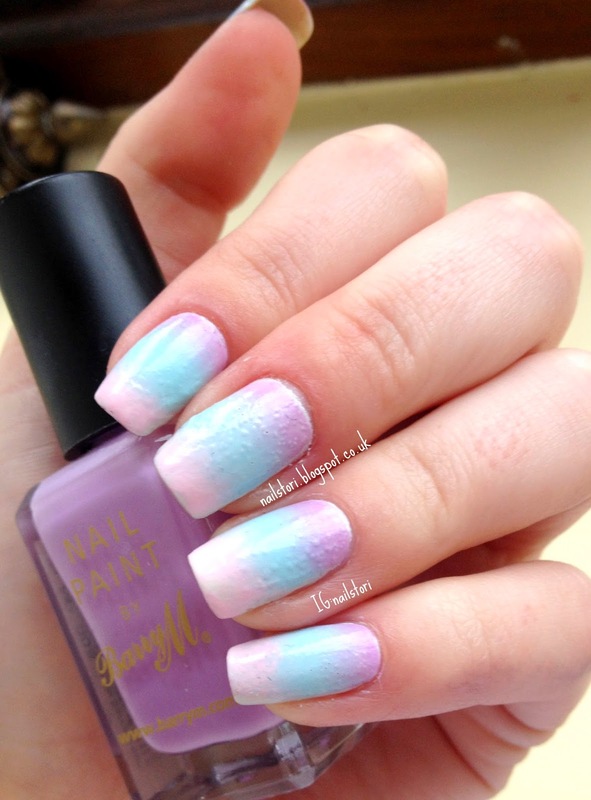 I keep seeing pastel ombre nails online and they are my favourite! I was hoping mine to be the same but unfortunately these aren’t my favourite. I used: Sally Hansen nail strengthener for the base (didn’t have OPI with me) OPI – My boyfriend scales walls, Barry M – Berry ice cream, Essie – Mint Candy Apple, Essie – Fiji and Sally Hansen – UV top coat. I really like the idea here but it just didn’t turn out right for me. First, bubbles!! Why the bubbles?! My white OPI never does this, I’m thinking it’s because I let them dry in the sun for about an hour, could this be why? I’m not sure on the colours used, I did set out to use a fourth colour but it didn’t come out too good so I stuck to the three. I’m not usually a Barry M fan, I only have a few of their polishes but it works really well on the ombre, shows up well on white so I liked it for this. The next time I try this – which will be in the next month I expect. I want to get a pastel yellow, test out the colours more and maybe add some studs to it. I didn’t have my Nikon with me today so these pictures will have to do, which isn’t too upsetting because the bubbles aren’t too much on show! I won’t be posting for a few days because I have an exam friday but will be back shortly!